Scientist, mineral economist and grass farmer. Second is energy stored in combustible hydrocarbon minerals such as coal, oil, gas, tar sands and oil shale. These all store solar and geothermal energy collected eons ago and they are the primary energy sources supporting modern industrial societies and the vast populations dependent on them. Clive and Trina Gare’s property. Industrial Wind: The Great American S-WIND-LE: Not Clean, Not Green, Not Free! ~ Energy analyst, Glenn Schleede, ran the numbers, and figured that just ONE (1) 450 MW gas-fired Combined Cycle Generating Unit, operating at a 60% Capacity Factor, located at New York City (where the power is needed in New York State), would provide more power than all of New York State’s installed wind factories combined, at 1/4 of the capital costs — and would have significantly reduced CO2 emissions and created far more jobs than all those wind farms – without all the added costs (economic, environmental, and civil), and of all the additional transmission lines that must be run across the state to New York City. ~ Wind, paired with natural gas (the most flexible generating system), can offset a mere fraction more CO2 emissions than could be achieved with the gas unit alone – without any wind at all. Wind represents redundant generation, although it would generate capital costs more than triple the cost of the gas unit. ~ The center-left Brookings Institute reports that “Wind and Solar are the Worst” way to reduce CO2. ~ Industrial wind supplies electricity, and therefore, has nothing to do with our “foreign oil dependence” created by gasoline and diesel fuel needs. Less than 1% of our nationwide electricity generation comes from oil. ~ In many low-wind areas of the country (ie: New York State), Industrial Wind Turbines do NOT produce enough power to pay for themselves over their very short, 5 – 13 year lifespans. ~ The average output of many wind factories is less than 25% – many days, providing nothing at all. ~ Studies from those long-invested in wind power in Spain and elsewhere have shown that 2 – 4 jobs are LOST in the rest of the economy, in large part due to the associated “necessarily skyrocketing” electricity rates President Obama forewarned would accompany his ‘green’ energy policy. Lawmakers who support wind welfare programs are in effect complicit in the president’s plan. 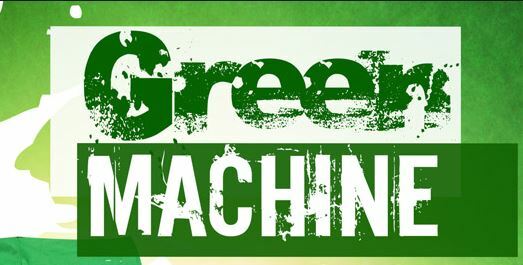 ~ Consider GE’s Shepard’s Flat Wind Factory, at which each ‘job created’ was shown to cost taxpayers $16.3 MILLION – exorbitantly expensive jobs for a product which is neither “reliable,” nor “efficient” – two professed requirements of the “sustainability” movement. Former Noise Control Engineer for the New York State Public Service Commission, Dr. Dan Driscoll, testified that “infrasound” (sounds below 20 Hz) are the sounds you can’t hear, but that the body can feel. He said ‘Infrasound’ is NOT blocked by walls of residences, and it can very negatively affect the human body – especially after prolonged, continuous exposure. He said symptoms include headache, nausea, sleeplessness, dizziness, ringing in the ears, etc. NYS Dept of Health official, Dr. Jan Storm, reported that they know infrasound associated with wind turbines is a problem worldwide, but that they hadn’t done any studies on it in NYS yet (even though they were/are continuing to plaster the state with them), and that there was money available via the Stimulus. ~ 4,000 – 6,000 pounds of rare earth elements are required per turbine, producing disastrous ecological results in China, where the rare earth elements are being mined. ~ All things considered, including demand levels and import/exports – the more wind installations we add, the more we must add fossil-fueled generation. ~ Adding wind as a supplement to our conventional generating system requires so much supplementation that in many areas of the country, adding wind actually causes increased CO2 emissions in the production of electricity than would be the case with no wind at all. Iowa exemplifies this — As Iowa’s installed wind capacity has increased over recent years, so has their coal use and CO2 emissions. ~ Studies have shown that MILLIONS of birds and bats are being killed every year by these giant “Cuisinarts of the air,” as a Sierra official dubbed industrial wind turbines in a moment of candor. 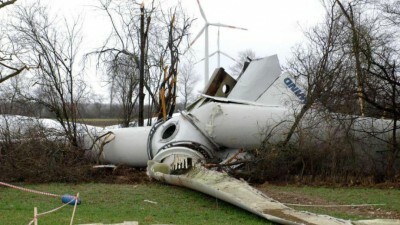 ~ Wind technology has proven to be effective only as a tax shelter generator for large corporations in need of an increased bottom line – just as it was originally designed to do by ENRON, the trailblazer for industrial wind in the U.S.
~ Two of the largest wind holding corporations – GE and Florida Power & Light – have paid NO federal income taxes in the U.S. in years, in large measure because of their “investment” in wind. ~ Let’s be real – Would you buy and move YOUR family into a home surrounded by 400 – 600+ foot tall industrial wind turbines, with their 164 foot-long, 11-TON, bird-chopping blades spinning overhead – only hundreds of feet from YOUR home on all sides? I have yet to meet anyone who would. ~ Studies have shown, and any realtor worth his oats will tell you, there are significant property value losses (10% – 25% and more), depending on the proximity to the wind turbines. LOCATION, LOCATION, LOCATION! Could you and your family afford to take that kind of loss on YOUR home? ~ Why would anyone in their right mind support imposing this torture on their fellow Americans??? It is shameful, criminal, and un-American! These peoples’ most expensive life investments – their homes, have been rendered virtually worthless. 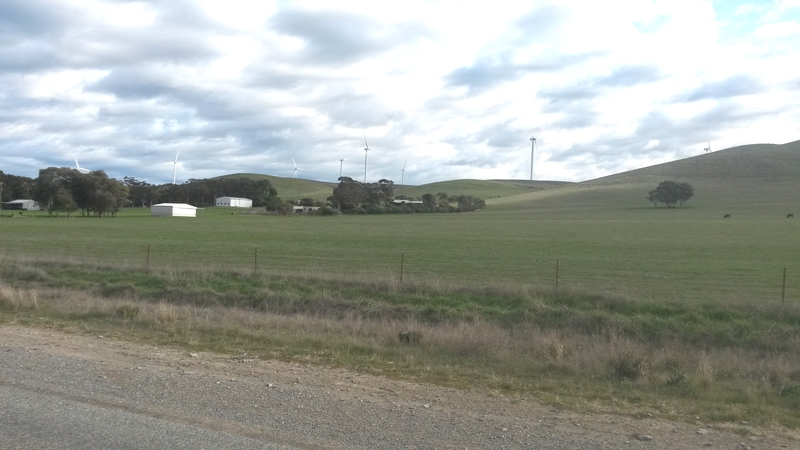 ~ Would you take your family to vacation amongst the footprint of industrial wind factories? Neither would most anyone else – which ruins the tourism trade many scenic rural areas across rural America depend on, especially in this flailing economy. The only ones getting rich in this scenario are the multi-national wind developers. The rich are getting richer at the rest of our expense for a useless product. ~ Besides rendering these folks’ homes virtually worthless, the fact that American citizens are being assaulted with their own taxpayer and ratepayer dollars (which are subsidizing the building of these wind factories to the tune of 80% of the total costs), is blatant theft of both their money and their Constitutional private property rights. Again I say – It is shameful, criminal, and un-American! ~ Corporate cronies push the “All of the Above” nonsense, while what U.S. taxpayers and ratepayers really need is an “All of the Sensible” energy policy. Industrial Wind does NOT make the cut! Posted on April 21, 2015 2 Comments on Industrial Wind: The Great American S-WIND-LE: Not Clean, Not Green, Not Free!